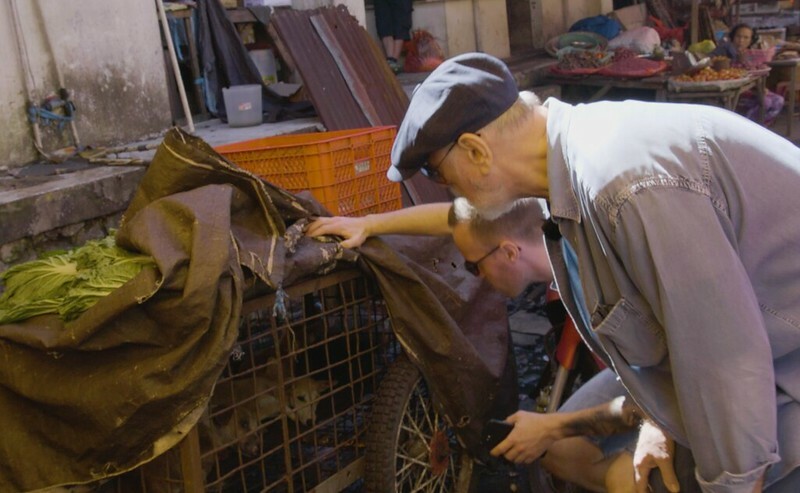 Downton Abbey actor visibly shocked after visit to infamous dog and cat meat markets, calls for ban on “scenes of hell”. 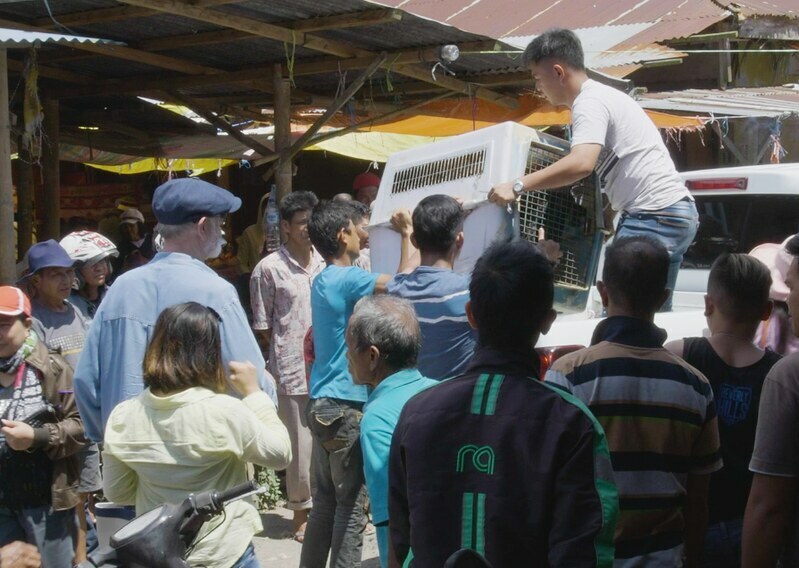 Peter visited two of the most notorious of Indonesia’s 200 live animal markets, including Tomohon’s “Extreme Market” and Langowan Market, where he witnessed dogs and cats being sold and butchered in front of their terrified and blood-splattered cage-mates. The actor and DMFI campaigners managed to save four dogs from the traders just before they were set to be bludgeoned to death. 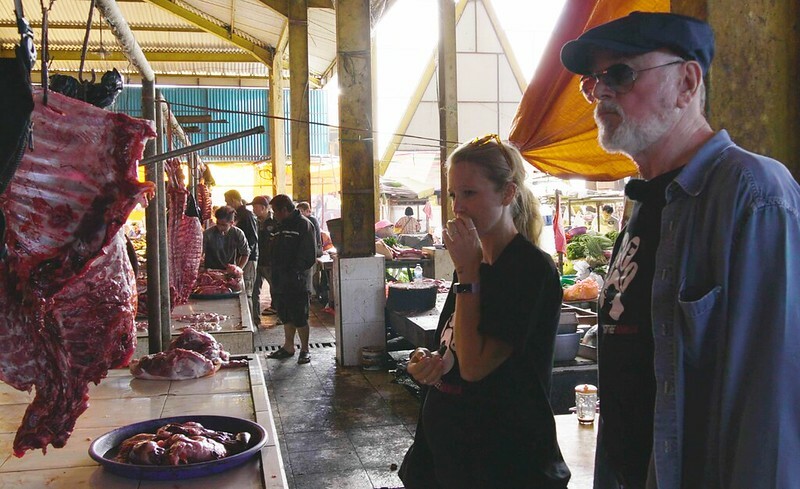 Peter was accompanied by British filmmaker Andrew Telling and DMFI campaigners, and footage of his trip show him clearly distressed watching traders menacingly wield knives used to butcher the animals. DMFI is a coalition of national and international animal protection organisations comprising Change For Animals Foundation, Humane Society International, Animals Asia, Four Paws, Animal Friends Jogja and Jakarta Animal Aid Network, which documents the brutality of the trades and campaigns for ban on grounds of animal cruelty and risks to public health. More than one million dogs and cats a year are killed for Indonesia’s meat trades, mostly strays grabbed from the streets or pets either stolen from back yards or purchased from their owners. Despite the scale of the trades, only a small percentage of Indonesia’s population – around 7 percent – eat dog or cat meat, and last year DMFI campaigners secured a pledge by the government to ban the brutal trades. Since the pledge, however, government action has been lacking, and on the island of Sulawesi alone tens of thousands of dogs and cats every week continue to be captured, sold and slaughtered. “I had been warned about the conditions for the animals at the markets in North Sulawesi, but nothing could have prepared me for the sickening horrors I witnessed. 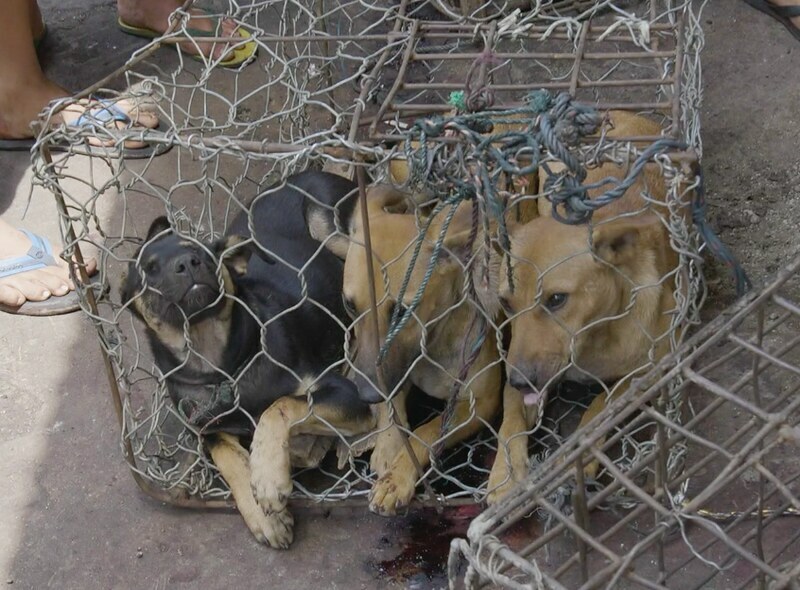 This part of Indonesia is world-renowned for its breathtaking volcanic mountain landscape, stunning dive waters and beautiful beaches, but the ugly brutality of the dog and cat meat trades will haunt me for the rest of my life. The Dog Meat-Free Indonesia campaign has received support from global and Indonesian superstars including Simon Cowell, Cameron Diaz, Ellen DeGeneres and Pierce Brosnan who signed a letter to President Joko Widodo calling for action to end the country’s dog and cat meat trades. A petition of more than 1 million signatures was also submitted to the government of Indonesia. As well as exposing the immense animal suffering, the DMFI also highlights the risk the trades pose to human health from transmission of the deadly rabies virus that continues to plague much of the country. The DMFI coalition says that despite pledges of action by local authorities in Tomohon, and condemnation of the cruelty from the central government, little action has been taken. 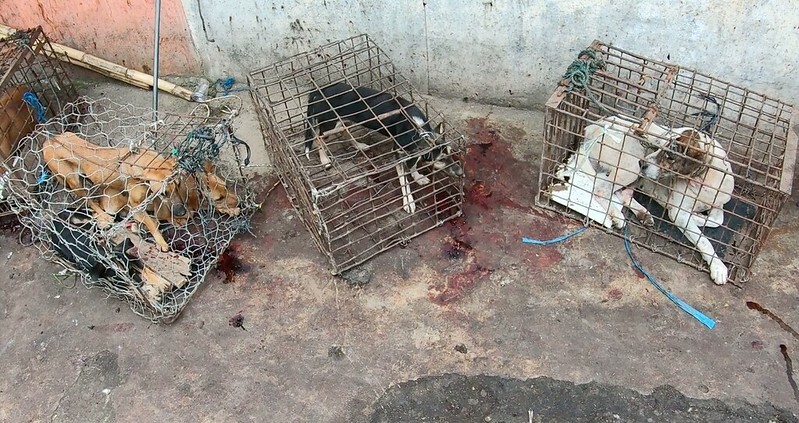 While relatively few people in Indonesia consume dog or cat meat – perceived to hold health properties or be defended as “culture” by a minority – the health of the entire nation is put at risk by traders blatantly breaching rabies control efforts.Deadly rabies has infected an estimated 628 people since January this year, killing at least 12, according to the Health Ministry. It is no coincidence that areas with the greatest demand for dog meat are also those with the highest prevalence of rabies. North Sulawesi Province has some of the highest numbers of human deaths from rabies in Indonesia, including three already this year. The DMFI coalition has written to Indonesia’s local and central governments, calling for urgent action. Despite meetings with the North Sulawesi provincial government and the Mayor of Tomohon’s office with promises of action being made during this visit, to date, no clear and meaningful actions have been taken. You can help end this cruelty. Sign the petition and write to the Indonesian embassy in your country expressing your concerns and calling for action.